Arthur Lloyd & Sons Ltd were an engineering company based in Hazel Grove near Stockport. At their large premises, located on Marsland Street, they manufactured steel structures of all shapes and sizes many of which were then required to be transported by specialised heavy haulage companies such as Edward Beck & Son. Edward Beck's Maudslay 'Maharanee' 4x2 13-ton tractor unit Reg No EUK 616 is seen here in 1956 outside the offices of Arthur Lloyd & Sons Ltd which was located on Marsland Street in Hazel Grove. This was one of many loads that Beck's transported to the premises of Synthetic Chemicals Ltd in Knottingley. 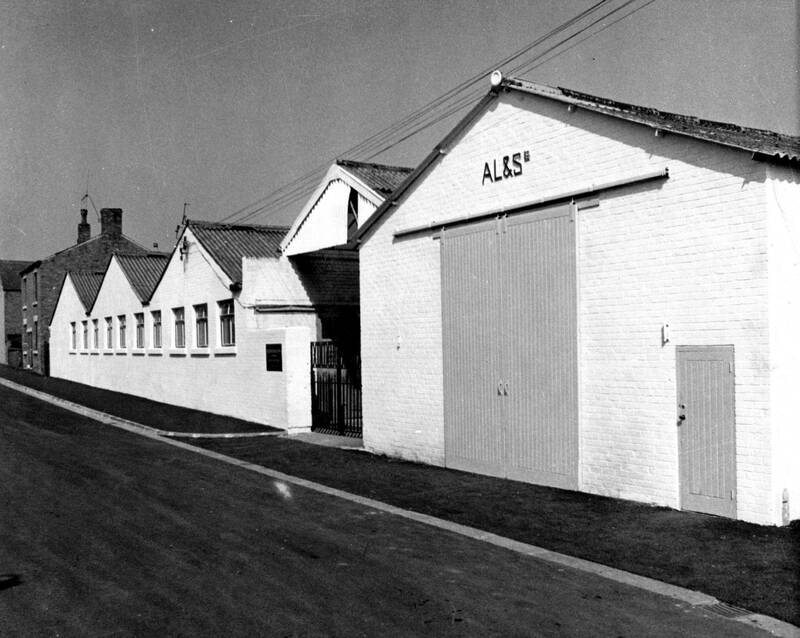 The long gone premises of Arthur Lloyd & Sons Ltd which were located on Marsland Street Hazel Grove near Stockport. 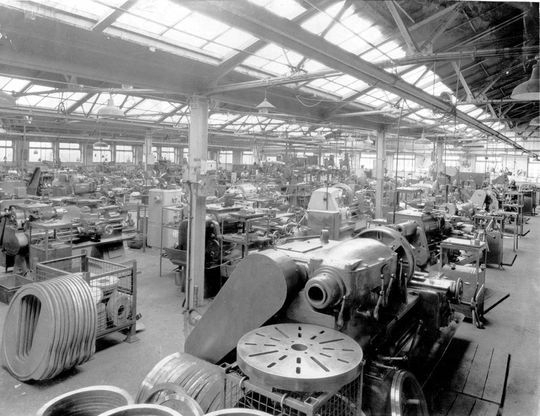 Inside the large engineering shops of Arthur Lloyd & Sons Ltd at Hazel Grave. Boalloy LV Cabbed ERF 64GX 4x2 tractor unit Reg No YDB 597, powered by a Gardner 150 engine, is pictured here in the evening outside the premises of Arthur Lloyd & Sons Ltd on Marsland Street Hazel Grove. 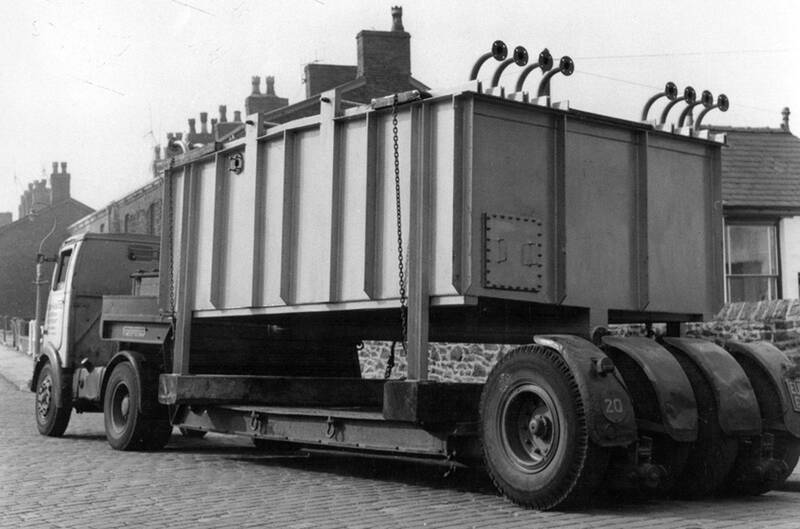 It is coupled to a four in line low-loader having just loaded up with this large steel vessel. Arthur Lloyd exported large amounts of products they manufactured at Hazel Grove with Beck's making regular journeys to Liverpool & Salford Docks on their behalf. In this shot we see packing cases of machinery ready for despatch destined for Bulgaria and India. 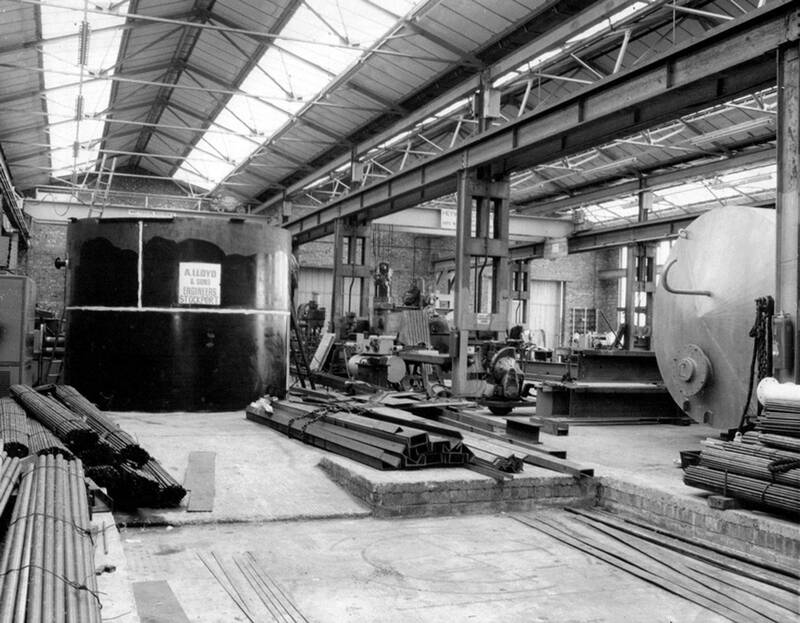 Another section of the large engineering premises of Arthur Lloyd & Sons Ltd which was located on Marsland Street Hazel Grove. 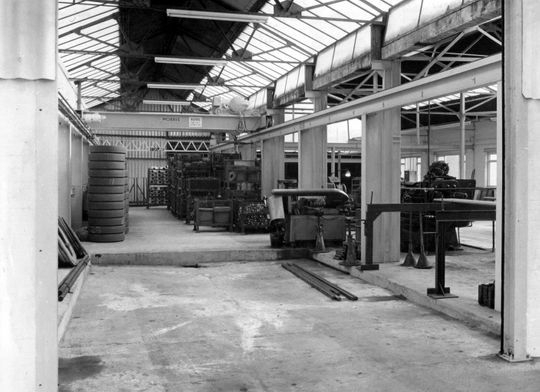 The large storage tank on the left has just been completed and awaits delivery to a customer. 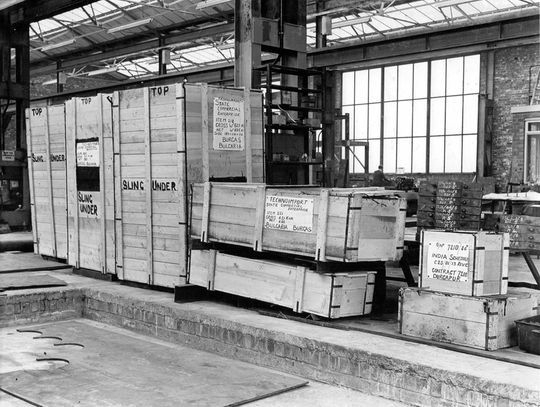 Note the overhead cranes which were required to move heavy items around the shop floor and also load finished products on to various haulage contractors low-loaders. 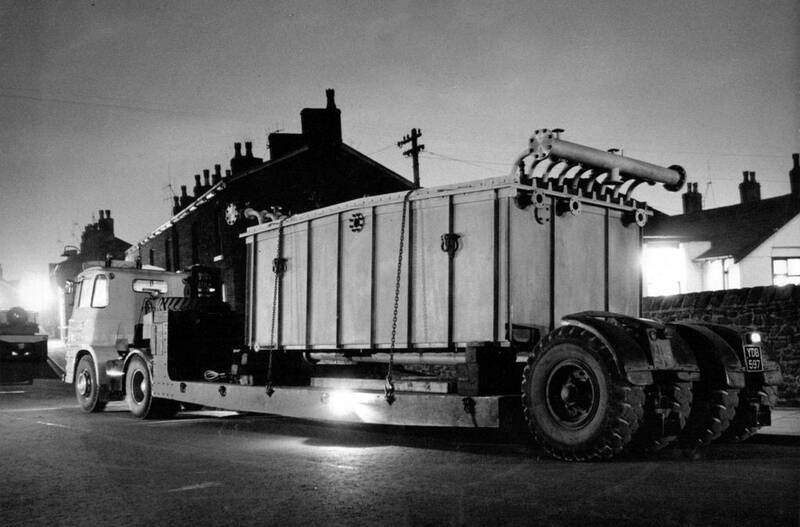 Edward Beck's ERF 64GX heavy duty 4x2 tractor unit Reg No XJA 762 is seen here as it prepares to leave the premises of Arthur Lloyd & Sons. 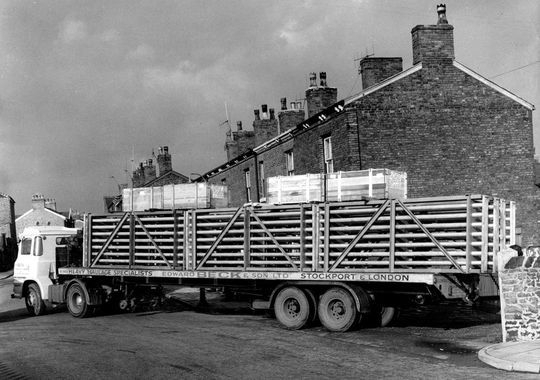 This particular load was destined for Liverpool Docks then on to Constanza, a Romanian sea port on the Black Sea. 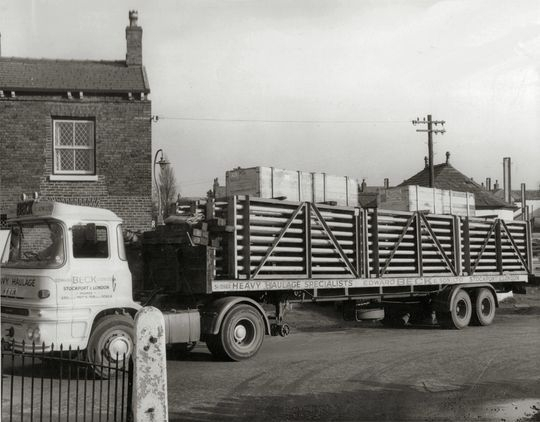 Edward Beck's ERF 64GX heavy duty 4x2 tractor unit Reg No XJA 762 pulls out of the premises of Arthur Lloyd & Sons at Hazel Grove with a load destined for Constanza via Liverpool Docks. 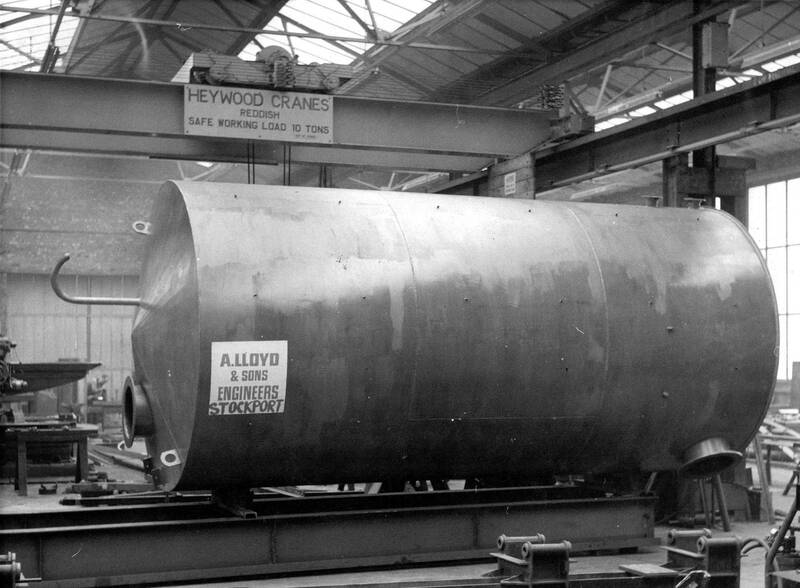 Another larger steel vessel awaits loading at the premises of Arthur Lloyd & Sons Ltd. 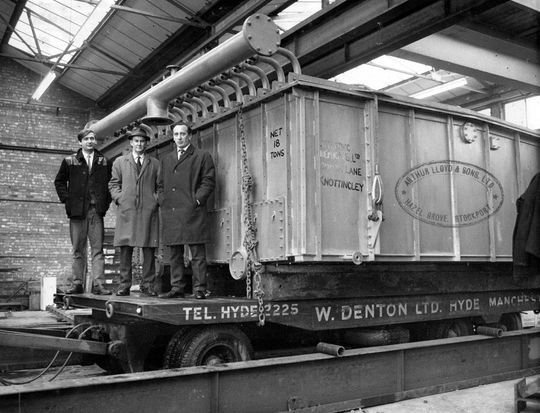 Destined for Synthetic Chemicals Ltd in Knottingley it is ready to be lifted on to a low-loader operated by Walter Denton Ltd of Hyde. 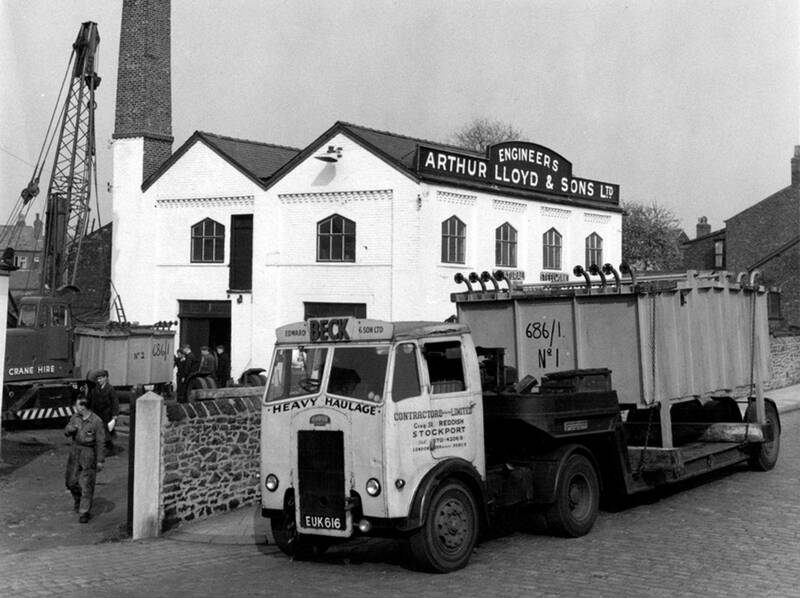 Edward Beck & Son Ltd were not the only heavy hauliers that moved large loads for Arthur Lloyd & Sons Ltd. In this instance another local company by the name of Walter Denton Ltd of Hyde did the honours by transporting this large load to Synthetic Chemicals Ltd in Knottingley. 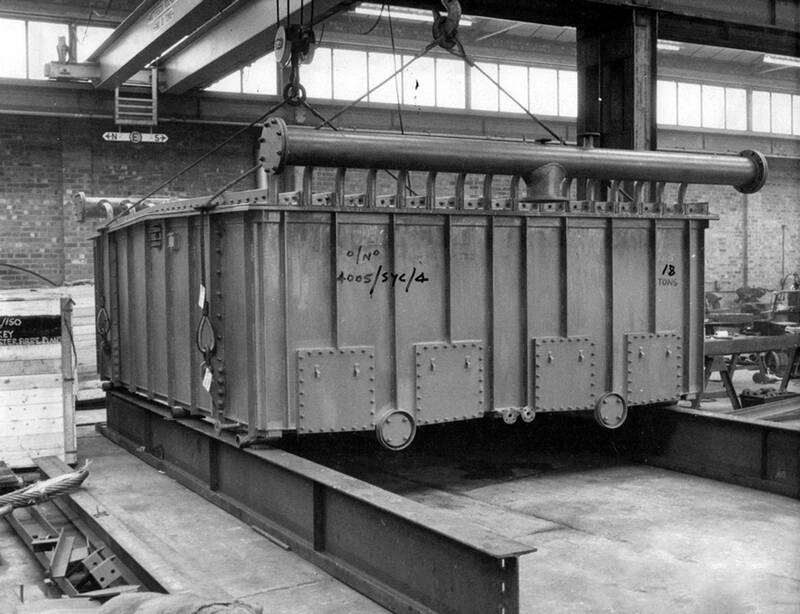 This large steel vessel is awaiting lifting on to a low-loader. Transporting large items such as these on behalf of Arthur Lloyd & Sons was regular work for Edward Beck's.